During all of 2014 EyeglassUniverse.com will donate 5% of every eyeglass purchase from our web store to worthy charitable organizations serving the needs of the blind. This will include organizations that provided leader dogs to the visually impaired. We will make our donation in the name of our patients every quarter and report the progress back in this place on the site. We are still evaluting worthy charitable organizations that train and provide leader dogs and will make our choices by the end of 2013. We are likely to choose several organizations that serve the needs of visually impaired. It is estimated that about 1.3 million people in the U.S. are legally blind. Legal blindness refers to central visual acuity of 20/200 or less in the better eye. Just 1% of the blind population is born without sight. The vast majority of blind people lose their vision later in life because of macular degeneration, glaucoma, and diabetes. Making our world a better place is up to each of us. 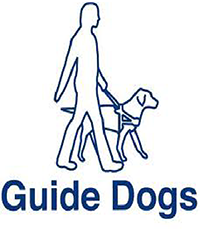 Contributing towards the cost of a leader dog for someone who is visually impaired is one great way we can help. What do you think?